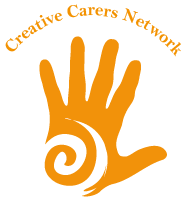 Creative activities for carers is a project run by the Sensory Trust. We originally set up this blog with the support of Lloyds TSB Foundation for England and Wales to test and develop a range of nature based activities and resources for carers to use at home with the person they are caring for. dementia, children with disabilities, adults with learning disabilities and carers. Providing contact with nature brings pleasure, meaning and purpose into day to day lives. Benefits are shared by families and carers who need support in providing meaningful activities designed for a range of disabilities. We created this blog to share our journey and encourage others to connect and share their experiences. The Sensory Trust makes places more accessible, attractive and useful for everyone, regardless of age, disability and social circumstances. Our work brings social and health benefits to people whose lives are affected by social exclusion, including older people, people with physical, sensory, and intellectual impairments and families and carers. We encourage richer connections between people and place so that people can value and get involved with their environment. We remove barriers and make places and processes more accessible so that more people can join in. We work with communities so they can contribute to the decisions that affect them and the places where they live. We are a care home and about to start a project in our grounds. Are you interested in helping, being involved or just advice. This is a Social Enterprise Charity called NULUXE. Our plan is to also form a Cultural Centre together with a Sensory Garden which is coupled to the accommodation built in the farm that we have. My experience is being a registered carer for my late wife, who had Dementia, and planning to help other carers by having a Respite Holiday together with Sensory Teaching. Any help and advice from yourself would be greatly appreciated.